This is a prelude to my novel Hoplite that tells some of the back-story to the characters, particularly Alexander, Lysander and Kallias. Description for the full novel (can be purchased on Amazon. Pre-order price is ⅓ off) Athens 440BC Alexander decided that there was no-one around and started to move from under the ramp but, before he could make his escape, he felt the ship rock as a loud tramping came from the gangplank. He froze in position while he tried to work out what this new sound meant. After listening for a short time, he realised that the troops were boarding the ship. He needed to get away, so he dragged himself fully out from his hiding place and made his way to the ramp. Maybe he could just run past them all before they realised he was there. Then, to his horror, the ramp down into the hold started shaking and the tramping came closer as the soldiers started coming down it into the hold to shelter from the sun. He was trapped! All Alexander wants to be is an Olympian. But, when his hoplite father is recalled to war, Alexander tries to follow and becomes trapped aboard a troop ship. His life spins out of control when they make port. 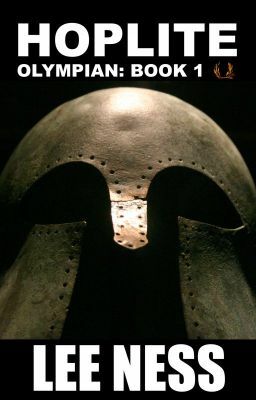 The seemingly benign state of Samos overthrows the mighty Athenian army and tragedy strikes. He soon realises that the foes in his own camp are more dangerous than the Samian rebels. When one of his only friends and allies on the island goes missing, Alexander has to further endanger his own life to try and find him but by doing so he puts his friend's life, and his mother back in Athens, in danger.